VP HOWARD TAYLOR LECTURES HIGH LEVEL AUDIENCE AT THE BRITISH HOUSE OF PARLIAMENT ~ Highlights Urgency for Actions to Foster Protection & Education of the African Girl Child. Monrovia, Liberia - Liberia’s Vice President ChiefDr. Jewel Howard-Taylor has been paying tribute to the world’s longest serving female Monarch of Great Britain, Her Majesty, Queen Elizabeth, II, and other great female icons on the African continent. On the African scene, VP Howard-Taylor paid particular homage to Africa’s first female president, former Liberian President Ellen Johnson Sirleaf, South African iconic female figure, the late Winnie Mandela, and Africa’s first female pilot, the Kenyan Madam Irene Mutungi, among others, for what she said epitomized the determination, brilliance, commitment and dedication thatwomen bring to the table of influence whenever given an opportunity to serve. Serving as the Special Honored Guest at the 2018 African Achievers International Lectures & Award ceremonies, the first Liberian Female Vice President asserted that thesewomen and many other unsung heroines, who are stellar examples of reasons why the African girl child must exercise not only her right to education, but must be given the opportunity to rise and soar in her chosen field. She said it has been proven by statistics that in Sub-Saharan Africa, some 16 million girls are not in school, which she attributed to complex social, political, traditional and economic factors, cultural beliefs, marriage practices, as well as disease and poverty which keep girls out of schools in Africa. VP Howard-Taylor, according to a dispatch from London, then proffered some suggestions she is confident can help change what she called tragedy into stepping stones to success. 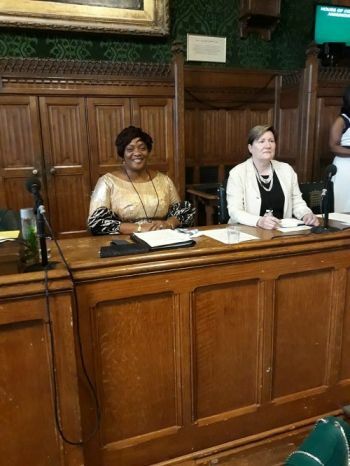 In her speech delivered Thursday, July 5, 2018, at the British House of Parliament in London, the Liberian Vice President named the change factors as eliminating extreme poverty on the African continent; working to change the biases against education for girls; showcasing and celebratingwomen of excellence as well as building strong early learning childhood development programs, among others. 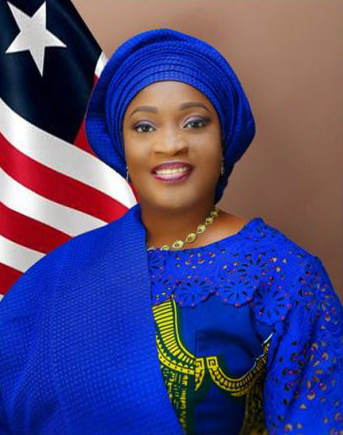 VP-Howard-Taylor therefore rallied the collective efforts of everyone in addressing the core issues affecting the education of girls around the world, particularly the African continent. “There is an African proverb which states - THAT IT TAKES A VILLAGE TO RAISE A CHILD. This means that each of us must be a part of the solution to this unacceptable reality,” she added. At the occasion in London, VP Howard-Taylor, who is also the President of the Liberian Senatewas adorned with the high Award for EXECELLENCE IN PUBLIC OFFICE AND COMMUNITY IMPACT by the 2018 African Achievers International Lectures & Award. The awards ceremony was climaxed with an exclusive dinner for award recipients and special guests at the Westminster Hilton in London.